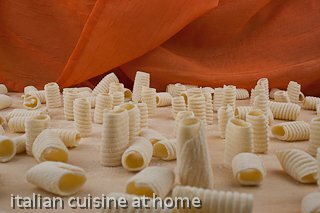 Notes to recipe: Macaroni, in Italian Maccheroni, is the name of a specific italian pasta variety, traditional of southern italy, made with semolina flour. 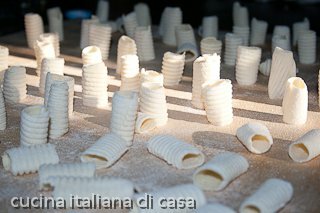 They are a pasta kind of great dimension, and the Macaroni pasta shape has strips made with a wooden tool. In this manner they retain the sauce very well.